Packaging: It is available in 1L,5L,20L,200L or as per request. HF1900-3 is a Liquid Fertilizer based on organic Humic Acid.It contains many growth elements,natural organic high activity humic acid,NPK,and chelated microelements.Particularly boron humate and phosphorus can stimulate flower and fruit growth,protect flower and fruit.It doesn't contain any hormone, easily absorbed by crop.Its nutrition is full and equal. 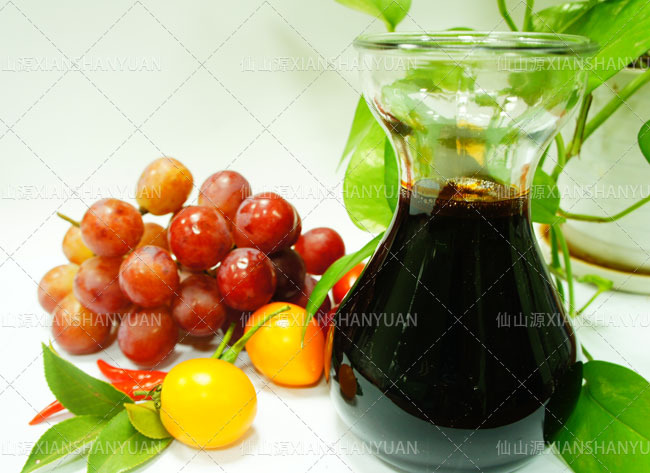 1.Its highly content phosphorus and effective boron,can preserve flower and fruit,improve fruit setting efficiency. 2.Complement nutrition rapidly,remove physiological disease symptom caused by nutrition deficiency. 3.Increase chlorophyll content,improve photosynthetic efficiency. 4.Improve fruit shape and quality,prolong harvest season,increase output. Solanaceous vegetable: Dilute 1-2 liters to average 800-1000 liters water.Apply 3-4times at intervals of 7-10 days before bud differentiation. Field crop:Dilute at 1:800-1000 in clean water then spray one or two times within flowering stage. It is available in 1L,5L,20L,200L or as per request. Looking for ideal Organic Humic Acid Liquid Manufacturer & supplier ? We have a wide selection at great prices to help you get creative. All the Humic Acid Liquid Fertilizer are quality guaranteed. We are China Origin Factory of Humic Acid Liquid Organic Fertilizer. If you have any question, please feel free to contact us.